This addon gives you a set of entities that let you move and pose Medigun beams. 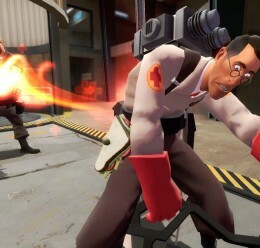 It's perfect for TF2 poses, screenshots and machinimas. 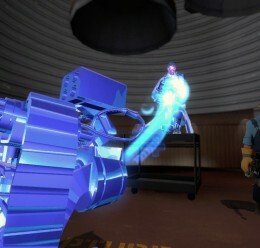 Once you've downloaded the file, put the folder called "posable medigun beams" into your addons folder. Just spawn them from the Entities tab (in the Medigun Poser category) and move them around however you want. The 'gun' is what controls the starting point of the beam, so you'll want to keep it upright and point it in the same direction you want the beam to "fire". If you want a straight beam, point it directly at the target block; if you want a curved beam, tilt it away, you get the idea. 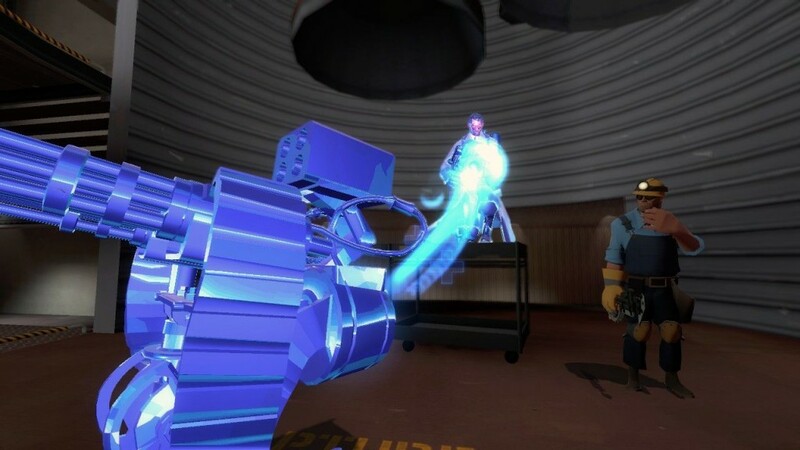 WHOA, WHAT'S WRONG WITH THE PHYSGUN BEAM? 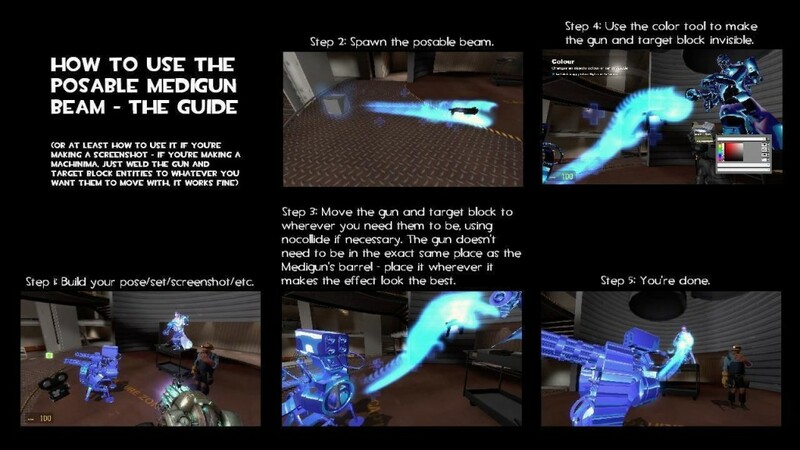 First of all, don't worry, your Physgun isn't broken, and you don't need to uninstall/avoid this addon. The Physgun's visuals just glitch out on some of the objects from this addon - it won't cause any problems with the rest of Garry's Mod. The Physgun's beam effect doesn't work properly when you move the 'gun' entities around (but not the target block for some reason?). I'm not sure why. Actually MOVING them around still works fine, it just LOOKS strange. It's kind of distracting when you're trying to pose it, but it shouldn't cause any problems. I'M USING GMOD 13, AND THE EFFECTS DON'T APPEAR! WHEN I GO INTO THE CONSOLE, IT EVEN SAYS THE PARTICLE EFFECTS DON'T EXIST! HELP ME! For some reason, Garry made it so Gmod 13 only caches the particles from the first game on the 'mounted' list. Maybe it's to cut down on loading times, I don't know. 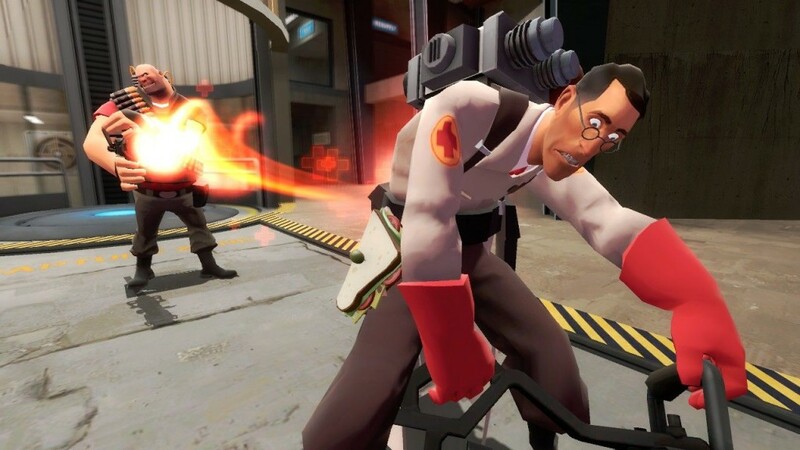 Just put TF2 at the top of the mount list, even above Half-Life 2, and the effect should work after you restart Gmod. If the full version of Gmod 13 is released, and the particles still only work with TF2 mounted first, I'll just see if I can throw something together to make it work at all times, if that's even possible. 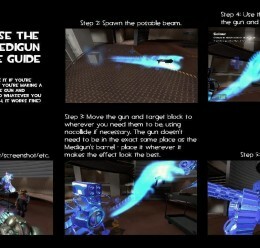 Posable Medigun Beams <-- Addon folder!